The Christmas decorations are tucked away for another year and our homes are looking bare without the greenery, sparkle and festive flair of the holidays. It is still winter which means most of us (here in New England, at least) will be spending our downtime indoors reading, watching movies, and staying warm. So how can we fight off the winter blues while we are hibernating? We can make our living space more welcoming and comfortable so that we enjoy snuggling up and endure the chilly season. 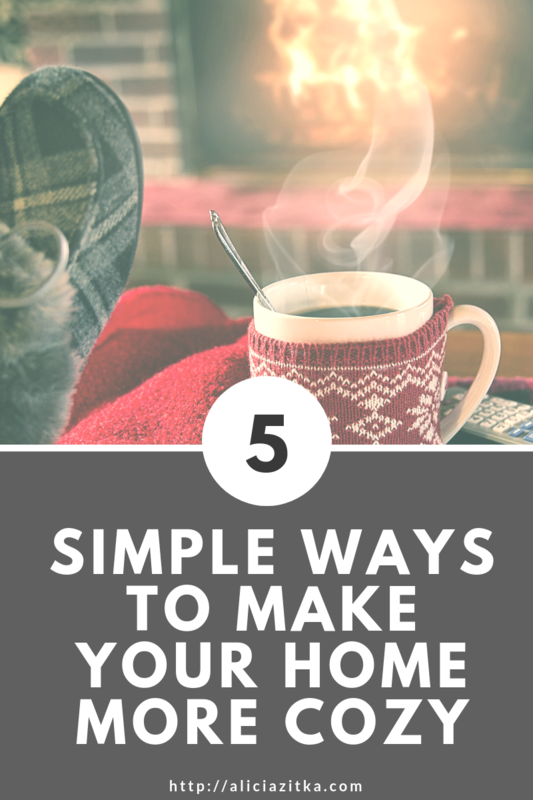 Here are 5 simple ways to make your home more cozy! before you settle in for your long winter’s nap aka Netflix marathon. so you can unwind with an uncluttered mind. 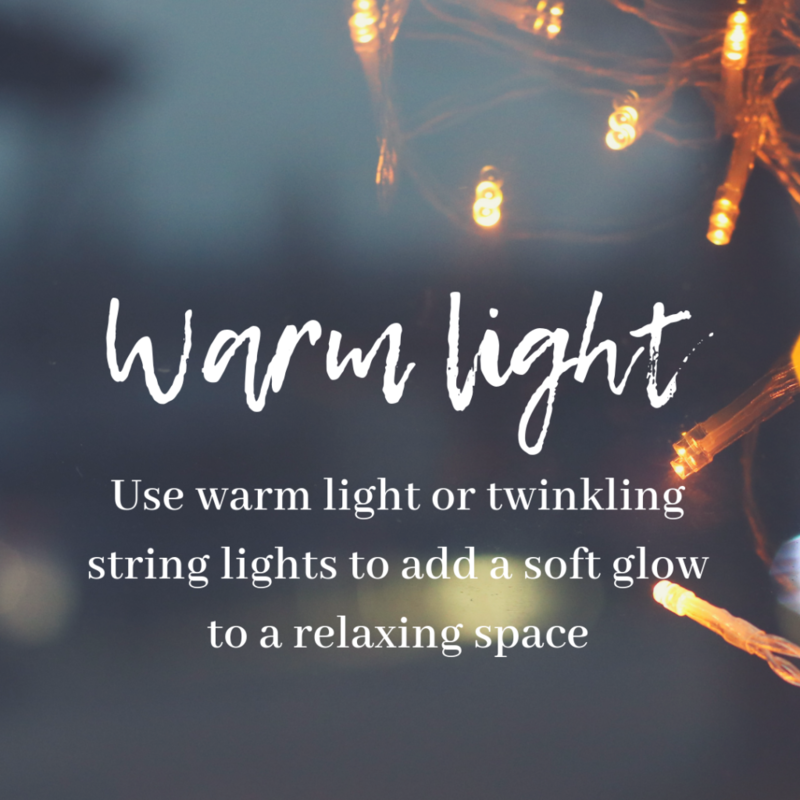 Lighting – Illuminate your space with warm white lamplight or (bonus!) keep up some twinkling string lights from the holidays. Think of the coziest place you can imagine… I bet there is a soft glow present in that scene! You can find inexpensive twinkling lights at The Christmas Tree Shop or Target. 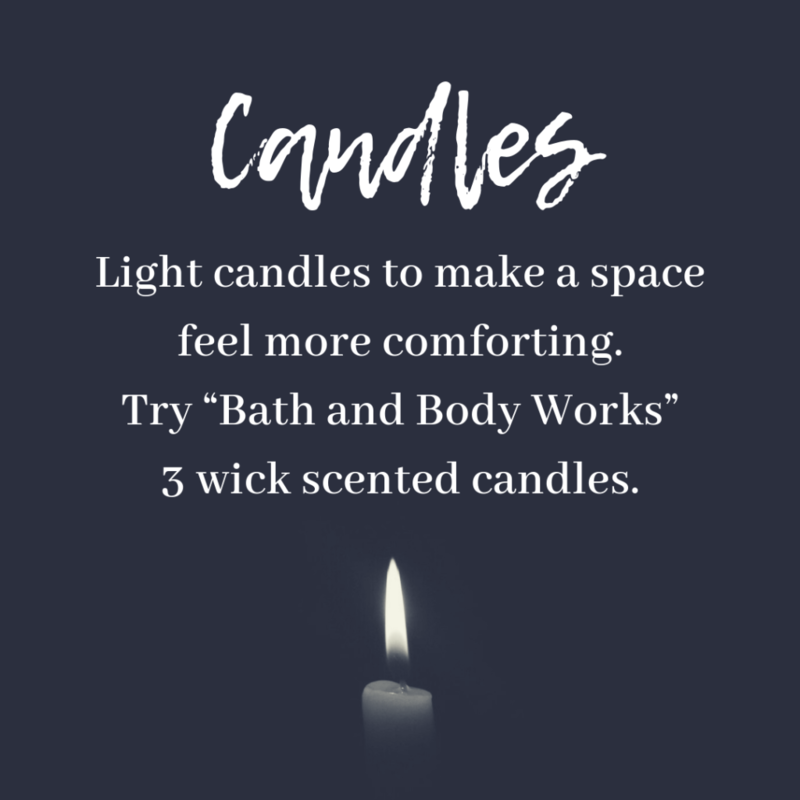 Scent – One of my favorite ways to make a place more “homey” is by lighting scented candles. My favorite candles are from Bath and Body Works in scents like “Marshmallow Fireside”, “Sweater Weather”, or “Fresh Balsam”. If candles aren’t really your thing, buy some fresh flowers to brighten to room and sweeten the air. 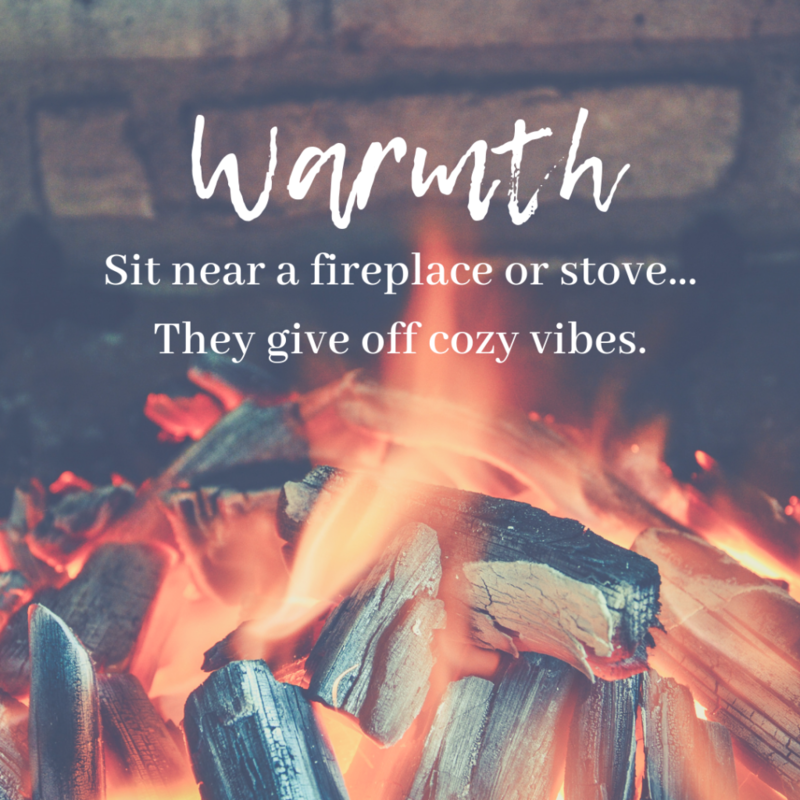 Warmth – When I think “cozy”, I immediately think WARM and what is more warm and inviting than a wood burning fireplace or stove? I could sit in front of a fire for hours, watching the flames dance. If a wood burning fireplace or stove isn’t available to you, there are plenty of faux electric fireplace and stove options found at Home Depot or Lowes that create the same vibe. 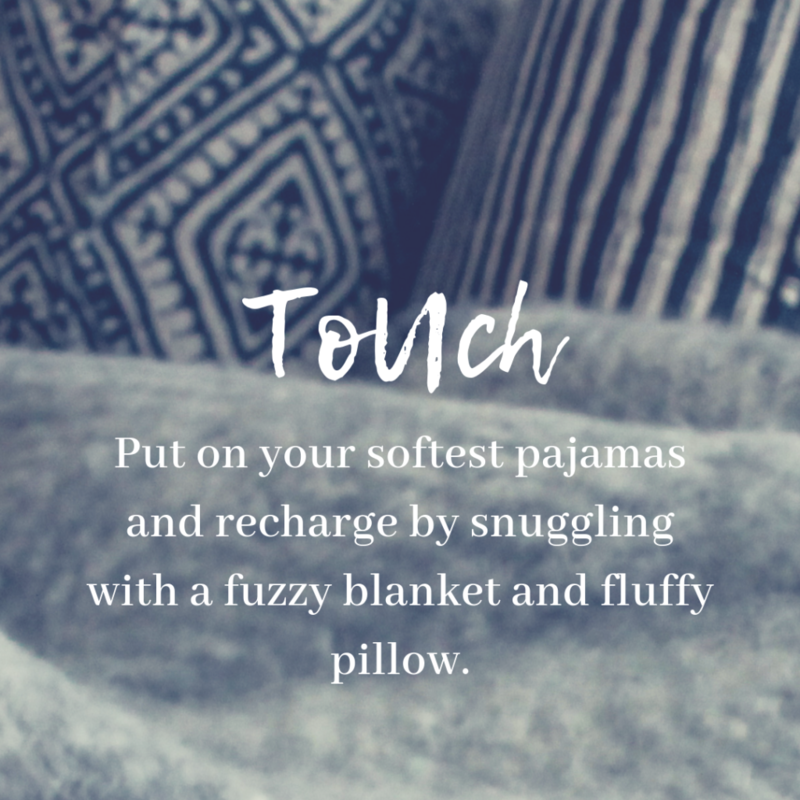 Touch – The key is staying super warm and cozy is to surround yourself with softness. Place fuzzy blankets and fluffy pillows on couches and various chairs. When you sit down it will be nearly impossible to snuggle up and resist and impromptu nap. 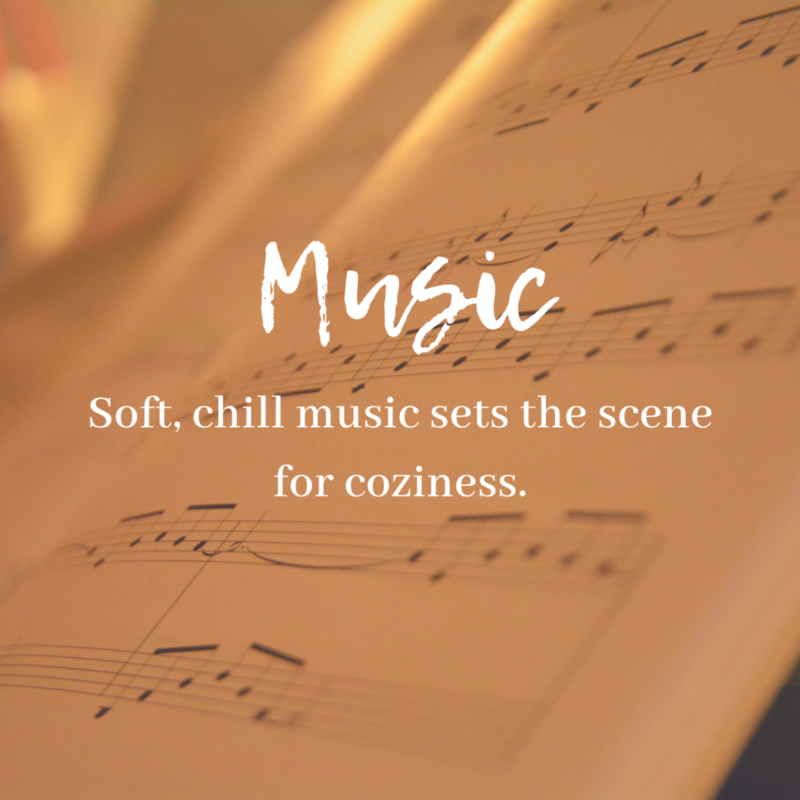 Music – Play some soft, chill music to set the scene for relaxation. 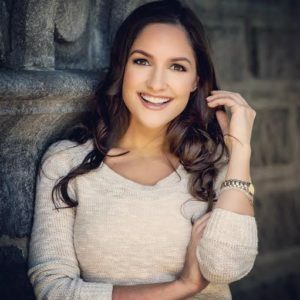 Think of anything that you would hear at a coffeehouse and use that as inspo. It will be perfect background music while your finding your zen, reading, making hot cocoa or cooking a warm meal. Use these 5 simple ways to make your home more cozy and enjoy the luxuries of comfort. What other ways do you make your house the warmest and comfiest that it can be? Comment below! Happy snuggling, everyone!